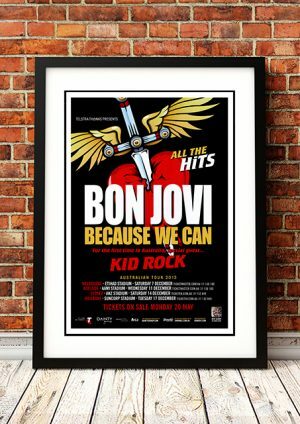 Kid Rock Band Posters and Memorabilia! Buy Online Now! One of the unlikeliest success stories in rock at the turn of the millennium, Detroit rap-rocker Kid Rock shot to superstardom with his fourth full-length album, 1998’s Devil Without a Cause. What made it so shocking was that Rock had recorded his first demo a full decade before, been booted off major label Jive following his Beastie Boys-ish 1990 debut, Grits Sandwiches for Breakfast, and toiled for most of the decade in obscurity, releasing albums to a small, devoted, mostly local fan base while earning his fair share of ridicule around his home state. Nevertheless, Rock persevered, and by the time rap-metal had begun to attract a substantial audience, he had perfected the outlandish, over the top white-trash persona that gave Devil Without a Cause such a distinctive personality and made it such an infectious party record. 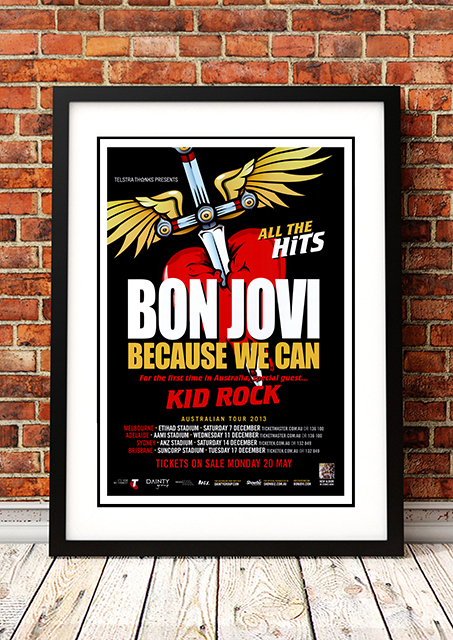 We stock an awesome Kid Rock Band Poster.